Our Immune Kit (featured right) Contains Elder Berry Elixir, Power Echinacea, Reishi Shiitake Astragalus Compound, Ocha Root Syrup, and Eucalyptus Pure Essential Oil. 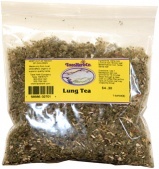 Taos Herb Company offers these herbal extracts and specialty herbal compounds in larger quantities. For larger quantity prices, please contact customer service.